How much do you enjoy Curtis and Ella’s retirement during the first season of The Paynes TV show on OWN? As we all know, the Nielsen ratings typically play a big role in determining whether a TV show like The Paynes is cancelled or renewed for season two. Unfortunately, most of us do not live in Nielsen households. Because many viewers feel frustration when their viewing habits and opinions aren’t considered, we’d like to offer you the chance to rate all of The Paynes season one episodes here. 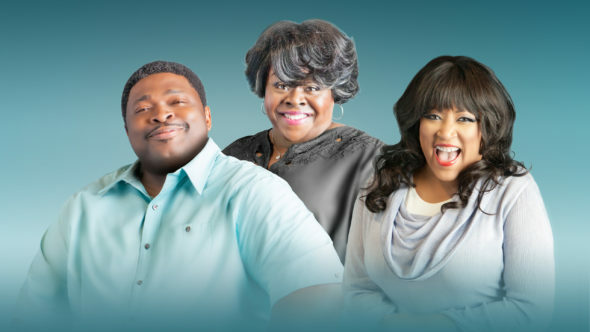 An OWN sitcom, The Paynes stars Cassi Davis Patton, LaVan Davis, Jackée Harry, Stephanie Charles, Markice Moore, JD McCrary, Sanai Victoria, and Anthony O. Dalton. The comedy centers on Ella and Curtis Payne (Davis Patton and Davis). He’s a somewhat brash, retired fire chief, while she’s a patient, long-suffering homemaker. Retirement isn’t all smooth sailing for them, and amidst the laughter they experience plenty of lows along with the highs. What do you think? Which season one episodes of The Paynes TV series do you rate as wonderful, terrible, or somewhere between? Should OWN cancel or renew The Paynes for a second season? Don’t forget to vote, and share your thoughts, below. More about: The Paynes, The Paynes: canceled or renewed? The Paynes: Is the OWN TV Series Cancelled or Renewed for Season Two? I am sick of Tyler Perry cancelling all the good shows. First House of Payne, then For Better or Worse, now The Payne’s. I wish he would let some of House of Payne characters drop in sometime. Bring back the House of Payne please.